People rely on a home carpet cleaning machine in order to keep their carpet looking at its best. For larger and busier spaces such as hospitals, business areas, hotels, restaurants, schools and offices, a commercial carpet cleaning machine is the best partner in making sure the carpets are regularly cleaned and maintained. 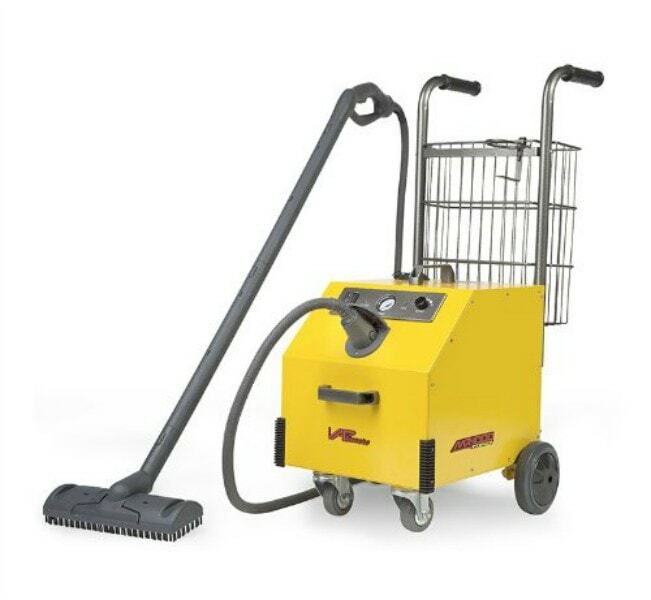 This cleaning equipment is specifically designed to perform a variety of tasks. A carpet cleaner extracts, cleans by applying shampoo, removes deeply embedded stains and dirt, and restores the beauty of a carpet. Instead of hiring professional commercial or industrial cleaners to take care of your upholstery and carpets, a cleaning machine can come to the rescue. If you are planning to purchase a commercial carpet cleaning machine, you might find it a bit confusing to narrow down your options because there are many brands and models of cleaning machines on the market. Many factors come into play when it comes to selecting the best carpet cleaning machine for your business or commercial property. We have come up with reviews of some of the top rated commercial carpet cleaning machines available today. 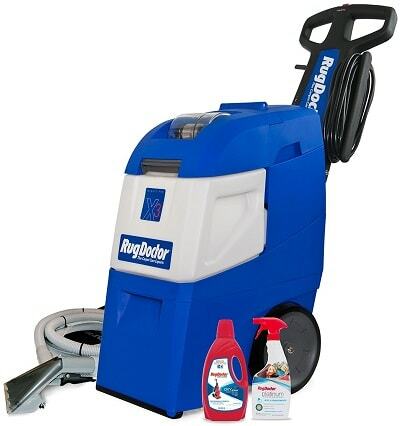 How to Choose the Best Commercial & Industrial Carpet Cleaning Machines on the Market? How to Choose the Best Commercial Carpet Cleaning Machines on the Market? One of the important factors to consider is the weight of the machine. Generally, commercial carpet cleaning machines are heavier compared to the traditional ones. You need to determine the weight of the machine before you buy it. It is essential to consider the weight because a lighter machine is easy to transport. It is essential for someone to consider the set of features and accessories included in a carpet cleaning machine before buying it. A great machine should have a heater, rotating and edge cleaning brushes. It would be great to choose a brand or model with excellent versatility. A commercial carpet cleaning machine should have a durable construction because it is expected to perform tough cleaning duties in different commercial areas or spaces. Make sure the machine is made with industrial-strength materials before you buy it. Opting for a high quality carpet cleaning machine also saves you money. Commercial carpet cleaning machines for sale are available at different prices. Some are affordably priced, while others are expensive. Most brands are equipped with special set of specific features and accessories to encourage people to buy them. However, you need to remember that you don’t really need to purchase the most expensive carpet cleaner on the market just to make sure it is very powerful and reliable. There are carpet cleaners that are dependable and durable yet available at a reasonable price. You just have to be wise in making a purchase and know more about a brand or model before buying it. Knowing a product’s warranty period before you purchase it saves you time and money. You need to read the warranty of the carpet cleaning machine. It is advisable to know if the brand offers a replacement for broken parts or if they offer free labor for the repair. Be informed of the number of months or years under its warranty. Handheld tool for upholstery, stairs, car and tight spaces. 1. What is the product’s total weight? 2. What is the product’s dimensions? 3. What is the product’s operating voltage? The product operates at 120V grounded AC circuit. 4. Is the product portable and mobile? Though quite heavier, the product is still easy to use. 5. Is the product user-friendly? Yes. The product includes a printed user’s manual with illustrations for easy operation. The Mighty Pro X3 is designed with special features that is why it is known for its high cleaning power and great ability to clean huge areas of carpet. It comes with a vibrating brush that efficiently draws dirt up from the carpet’s base and then loosens the stains. With its adjustable handle, it can reach up to 36.5 inches. The machine can be used to clean cars, stairs and upholstery. Since the carpet cleaning machine is designed with a durable construction, it can withstand frequent use. Check out what other people who purchased this product think about it. Read Mighty Pro X3 Commercial Carpet Cleaning Machine Reviews. The product operates at 120V AC circuit. The product is easy to handle and use. If you are looking for an adjustable and powerful cleaning machine for your carpet, the Bissell BG10 can be the best choice for you. The machine is specifically designed to perform deep cleaning. It can clean better and dry faster compared to other carpet cleaning machines on the market. It is one of the most affordable, reliable and user-friendly cleaning machines available today. The machine takes pride of its dual water tanks. The first tank, which is located on top, is the dirty water tank. The clean water tank, on the other hand, is at the bottom. Another interesting thing about the machine is its powerful brushing technology. It is made with DirtLifter cleaning brushes that are efficient in loosening dirt and stains from the carpet. Check out what other people who purchased this product think about it. Read Bissell BG10 Commercial Carpet Cleaning Machine Reviews. The product is still easy to use despite its weight. 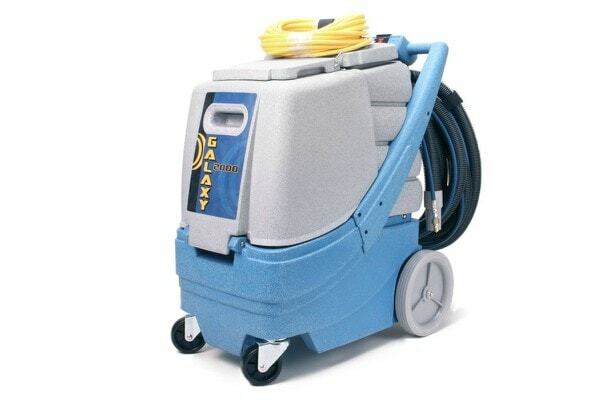 When it comes to performance and durability, the EDIC Galaxy is one of the carpet cleaning machines you can rely on. With its features and accessories, it is a good choice if you want a professional cleaning machine. Despite of its great features, the product is available at a reasonable price. If you want to upgrade the efficiency of this carpet cleaning machine, you can add a 2000-watt external heater to it. Check out what other people who purchased this product think about it. Read EDIC Galaxy Commercial Carpet Cleaning Machine Reviews. Yes, it is. The product is easy to use despite its commercial grade and built. The MR-1000 Forza is known for its endurance, performance, strength, and power. 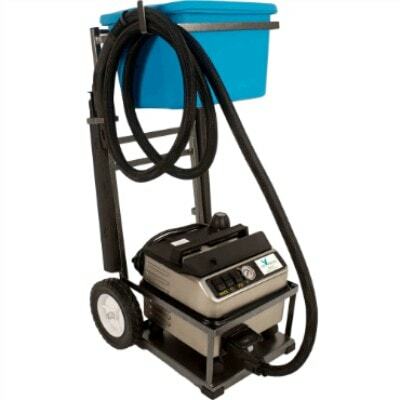 This carpet cleaning machine is made of commercial grade steel construction. With its industrial-strength materials, you can rely on the machine’s durability and performance every time. It comes with 50 steam cleaning attachments as well as steam cleaning brushes. It is specifically manufactured to produce 270 to 290 degrees steam. Check out what other people who purchased this product think about it. Read MR-1000 Forza Commercial Carpet Cleaning Machine Reviews. 12 x 12 x 12 inches. The product is very easy to use due to its ultra lightweight attributes. 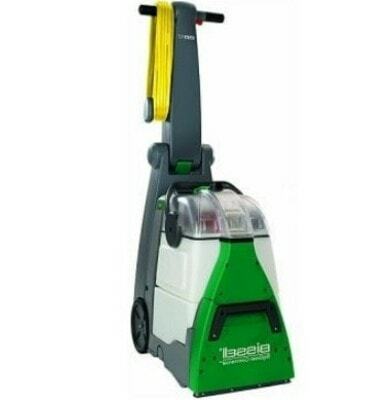 Specifically designed for tough commercial cleaning purposes, the Eurosteam ES1900 is a good choice for cleaning and maintaining carpets in offices and large spaces. With its compact design, you can easily transport the machine from one place to another. The Eurosteam ES1900 is efficient in eliminating mildew, mold and odors from tile, bathtubs, sinks, and toilets. Users of the machine are impressed with its simple controls, fantastic accessory selection, and durability. Check out what other people who purchased this product think about it. Read Eurosteam ES1900 Commercial Carpet Cleaning Machine Reviews. Commercial carpet cleaners are made with high-powered parts and accessories. Some of these carpet cleaners utilize intense heating technology in order to get rid of tough stains and residue. Different brands and models have their specific set of features and accessories. Remember all the facts and information in this buying guide. With the reviews of the top rated commercial carpet cleaning machines and the tips you have learned from this guide, you probably have a specific brand or model in mind. Regardless of your choice, it is important to select a commercial carpet cleaning machine that suits your needs. It would be great to choose a carpet cleaner that is versatile enough to perform tasks as a carpet shampooer, carpet extractor, and rug steam cleaning machine at the same time. For easy transport, it should be portable. Also, the machine should be efficient in dry cleaning and deep cleaning.